I’m sure every individual, at least once in a while, brings out these words from his/her mouth – “I don’t trust you”. This sentence has two meanings: one, ‘You have broken my trust’ and two, ‘Based on your previous activities, it is impossible for me to trust you’. 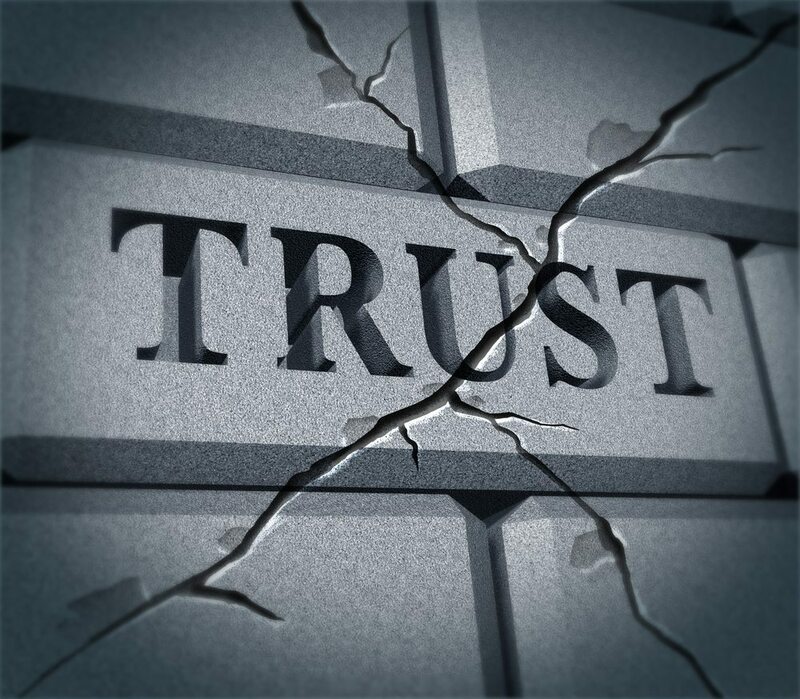 As we all know, trust is a very delicate emotion and once broken, cannot be repaired. Even if it is repaired, it is seldom the unwavering trust that it was before. The basic ground that a relationship is based on is TRUST. Is it that easy to break someone’s trust? Is your trust that easy to break? Firstly, trust is indeed very easy to break if you are closely attached to the individual or vice-versa. It can happen unintentionally and sometimes intentionally as well (that’s evil though!). For example – Your friend has some kind of fear to share a particular thought with you. And if you find out about that thought in the future through someone else, BOOM! Surely there’s a fight that’s going to strike. You see, the best part about any form of relationship is trust. That honestly doesn’t mean you or the other individual you are sharing that trust with is supposed to pour out everything that’s inside him/her. Giving space to an individual you are sharing your trust with is also very important. But as they say, too much of anything is good for nothing. If you trust, don’t trust blindly. If you are providing some personal space don’t provide too much that the other individual starts taking advantage of you. 1. We know once you are attached to an individual, you tend to automatically trust them. It happens naturally; but try to control that! It isn’t difficult, it is always good to get to know somebody really well and then put your faith and trust in them. 2. Understanding is very important. You need to analyse why the person has broken your trust and then take an action or decision based on that. 3. If you have noticed, we tend to take a harsh decision without really knowing why the individual has behaved in such a manner, since we are so hurt. A broken heart always helps you make bad decisions not good ones! 4. Never let the individual take advantage of you with the amount of trust you put in them. It is bound to happen, intentionally or unintentionally! But at the end it still is painful. And finally, we come alone and we go alone. People may come and people may go but we must learn and stand strong and move on! Watch out for more on “I DONT TRUST YOU” next week. Next articleUnder the stars with Sofitel Bahrain!